If your practice involves family law, order your Materials from this two-day seminar delivering an insider’s perspective on the most significant recent developments in Tennessee family law. Quality presenters. You’ll hear from attorneys who are authorities in the field of family law. Judicial perspective. You’ll hear from Circuit Judges Mike Binkley, Robert L. Childers, Phillip Robinson, and Thomas Wright, as well as Chancellors Jerri Bryant and Larry McMillan. Flexibility. You can choose to attend one day in October and one day in December, as best fits your schedule. Practical information. You’ll get information you can put to use in your practice right away. Dynamic interaction. You’ll be encouraged to ask questions and present your own situations for discussion. Timely information. You’ll get up to date on the latest developments in the area of family law. Useful materials. You’ll receive a notebook of materials as well as online access to conference materials. Convenient location. The Nashville School of Law is located just off I-65 and I-440, near the downtown Nashville area, and provides you with plentiful, free parking. Internet access. The Nashville School of Law has free wireless Internet access in its classrooms, allowing you to stay in touch with your office. David M. Anthony concentrates his practice in the areas of bankruptcy, commercial litigation, creditors’ rights, construction and lien litigation. Experienced in Tennessee debt collection and Tennessee collection laws, he represents creditor clients throughout Middle Tennessee in state, federal and bankruptcy courts. He also has significant experience representing financial institutions throughout the loan transaction process, including loan documentation and renewals, as well as loan re-works and reorganizations. Mr. Anthony is a regular author and guest speaker on topics related to bankruptcy, post-judgment collections strategy, foreclosures, ethics and trial practice. A well-renowned Nashville bankruptcy attorney, he also maintains and publishes a blog, CreditorsRights101.com, and corresponding Twitter feed (@creditorlaw), both of which focus on creditor issues in the law. 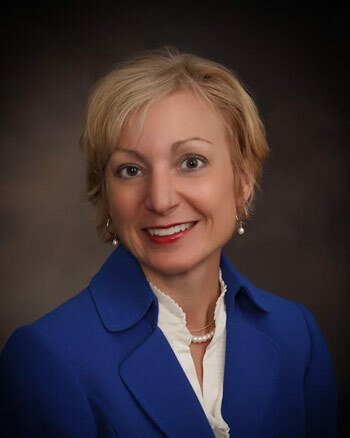 Dawn Coppock is a sole practitioner based in Strawberry Plains. She is a frequent speaker, writer and consultant on the subject of adoption in Tennessee and nationally. Her practice area includes all Tennessee counties east of Nashville. 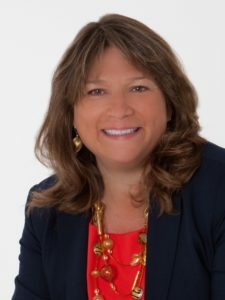 She is certified as a Juvenile-Child Welfare Specialist and a Family Law Mediator and is a Fellow in the American Academy of Adoption Attorneys. She is the author of Coppock on Tennessee Adoption Law published by LexisNexis, now in its 7th edition. She has twice been listed among the top lawyers in Tennessee by Business TN magazine. Sandy Garrett is Chief Disciplinary Counsel for the Board of Professional Responsibility of the Supreme Court of Tennessee. She has been with the Board of Professional Responsibility since October, 1992. She earned her J.D. degree from Vanderbilt University in 1989. 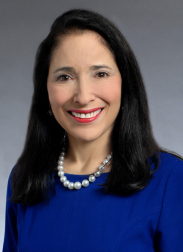 She is the former Chairperson of the Tennessee Bar Association Young Lawyers Ethics Committee and Co-Chair of the American Bar Association Young Lawyers Section Ethics Committee and is currently a member of the Harry Phillips American Inn of Court. Ms. Garrett has supervised the Board’s litigation section and was instrumental in developing and implementing the Board of Professional Responsibility’s diversion program. Jason Hicks joined Moore, Rader, Fitzpatrick & York PC in Cookeville in May 2012 after having been in private practice for two years. His practice focuses in the areas of family law, criminal law, business law, and wills and probate. He is the Code Committee Chair for the Tennessee’s Bar Association’s Family Law Section. He received his BA in History and English from the University of Tennessee at Knoxville and his JD from Faulkner University. C. Jay Ingrum joined Phillips & Ingrum in Gallatin in 2000 as an Associate Attorney after working in public relations, law and insurance. Criminal law, family law/domestic relations, personal injury, probate, juvenile law, and collections are the focuses of his practice. He is a 1994 speech communication graduate of the University of Tennessee, and graduated with a J.D. from the Nashville School of Law in 2000. He was admitted to the bar in Tennessee in 2000. He has served as Secretary (2009), Treasurer (2010), Vice President (2011) and President (2012) of the Sumner County Bar Association. He is a member of the Tennessee Association for Justice and the Tennessee Bar Association. He has also served as a Volunteer and Peer Monitor for the Tennessee Lawyers Assistance Program. He was one of only 33 lawyers statewide to be named to the Tennessee Bar Association’s 2016 Leadership Law class. On June 17, 2016, the members of the Tennessee Bar Association’s 2016 Leadership Law class voted to award Mr. Ingrum with the Tennessee Bar Association’s Leadership Law Larry Dean Wilks Leadership Award. 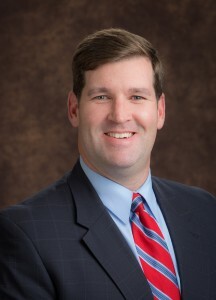 Also in 2016, he was named a “Besties Finalist” for Best Attorney in Sumner County in the Main Street Besties Awards voted on by readers of the Gallatin News, Portland Sun, Hendersonville Standard, and the White House Connection. He was voted the Best Attorney in Sumner County in the 2016 Toast of Sumner County Reader’s Choice Awards voted on by the readers of the Gallatin News Examiner and the Hendersonville Star News. 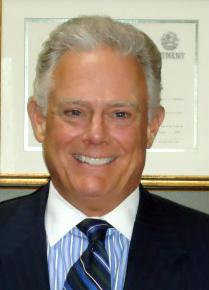 Stanley A. Kweller is a member of Jackson, Kweller, McKinney, Warden, Lewis & Hayes in Nashville. A majority of his legal experience involves litigation and trials in the civil and criminal arenas. Mr. Kweller has had an active trial practice, including jury and non-jury trials at all levels including federal and state courts and appellate matters. He spent 10 years as a criminal prosecutor. Mr. Kweller’s current practice is a mixture of domestic relations law (including child support, custody and visitation, divorce, and mediation and collaborative law), general civil litigation (personal injury work), commercial litigation, employer/employee litigation, criminal law, and business and commercial law. He is admitted to practice before the U.S. District Court, Middle and Eastern districts. Mr. Kweller earned his B.A. degree from Emory University and his J.D. degree from the University of Tennessee College of Law. Sean J. Martin, with Martin Heller Potempa & Sheppard PLLC in Nashville, focuses his practice in two areas – personal injury and family law. Mr. Martin has been recognized by Super Lawyers Magazine as a Super Lawyer in the field of plaintiff’s personal injury. In addition, he was named as one of the Top 40 Trial Lawyers Under 40 by the National Trial Lawyers Organization. Mr. Martin is a member of the Nashville, Tennessee, and American Bar Associations. He is a member of the Plaintiff’s Personal Injury and Family Law Section of each bar association as well. Mr. Martin’s experience with family law began in 1999 in Judge Marietta Shipley’s court, where he was her clerk for two years after law school. He assisted Judge Shipley with all aspects of her family docket with issues ranging from simple uncontested divorces to complex child custody cases and everything in between. He then went to Cornelius & Collins, LLP, and after a few years started his own firm with Kevin Sharp and Jay Drescher, among others. He has been with Martin Heller Potempa & Sheppard PLLC since 2013. He has represented both men and women in every conceivable domestic situation, including cases where emotional, physical and/or sexual abuse of one party or the parties’ children has been alleged. For the last 14 years, his practice has been split evenly between family law and personal injury. Chancellor Laurence M. (Larry) McMillan is a chancellor for the 19th Judicial District (Montgomery and Robertson counties). He has served on the court since 2004 and was re-elected in 2006 and 2014. His current term expires in 2022. 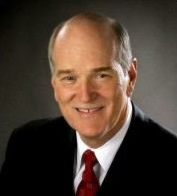 Chancellor McMillan began his career in 1987 as an attorney with the firm of Barnett & Alagia. He then joined Cunningham, Mitchell, Hicks & McMillan in 1992 and worked there until 1998. From 1998 until his election to the Chancery Court in 2004, he practiced with his firm of McMillan & McMillan, PLLC. He received his undergraduate degree from the University of Tennessee at Knoxville in 1983 and his J.D. from the University of Tennessee in 1987. Marlene Moses, founding Manager of MTR Family Law, PLLC, in Nashville, has long been recognized as an outstanding family law practitioner. She is Board certified as a Family Law Trial Specialist by the National Board of Trial Advocacy. Best Lawyers in America® has included her in its publication as a specialist in family law and she is named as a Mid-South Super Lawyer in its yearly publication. A certified Fellow of the American Academy of Matrimonial Lawyers (AAML) and past President, she met the stringent requirements of membership. The approximately 1,600 AAML Fellows across the United States are recognized by judges and attorneys as preeminent practitioners with a high level of knowledge, skill, and integrity. Ms. Moses is one of only 100 members across the country who was selected as a Diplomate of the American College of Family Trial Lawyers and she serves on its Executive Committee. Serving as Vice-President of the International Academy of Matrimonial Lawyers, her practice is international, as well. She was designated as the first Family Law Specialist in the State of Tennessee by the Tennessee Commission on Continuing Legal Education and Specialization. She is Board Certified as a Family Law Trial Specialist by the National Board of Trial Advocacy. Phillip R. Newman, with Puryear, Newman & Morton, PLLC, in Gallatin, practices family law, including divorce and post-divorce proceedings, child support and parenting plan modifications, parental relocations, and juvenile court matters. He’s also listed as a Rule 31 mediator with expertise in collaborative divorce and collaborative practice. He has successfully kept more than 250 civil litigation and family cases out of court through mediation. After earning his Tennessee law license in 1993, he tried cases at Manier, Herod, Hollabaugh & Smith in Nashville. He and Mark Puryear founded Puryear and Newman in 1997, and PN+M Law was born in 2000 when the two recruited Chas Morton as a third member. 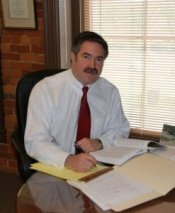 Mr. Newman handles cases in Williamson, Davidson, Maury, Dickson, Rutherford, Wilson, Cheatham and Montgomery Counties and has argued before the Tennessee Court of Appeals and Tennessee Supreme Court. Judge Phillip R. Robinson was appointed to the Davidson County circuit court, Division III, in March 2012 to replace Judge Barbara Haynes, who retired. He was elected to the position in August 2012. Before taking the bench, Judge Robinson practiced almost exclusively in the area of divorce and family law for 34 years. 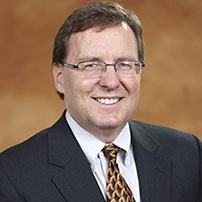 He served as Chair and Vice-Chair of the Domestic Relations Committee of the Nashville Bar Association and is a member of both the Nashville and Tennessee Bar Associations. He helped draft changes in domestic legislation and has testified before various legislative committees on new domestic legislation. He is a frequent speaker at seminars dealing with divorce and family law. Kevin W. Shepherd has more than 27 years of experience and is the owner of Shepherd and Associates, PC, with an office in Maryville. He practices in the areas of family law, divorce, personal injury, criminal defense, appellate practice, and general practice. He is a Tennessee Supreme Court Rule 31 family law mediator. 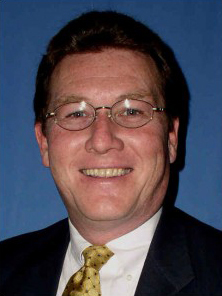 Mr. Shepherd is a member of the Tennessee Bar Association and is a well-received speaker at legal seminars. He earned his B.S. degree from LeTourneau University in Longview, Texas; and his J.D. degree from The University of Tennessee at Knoxville. 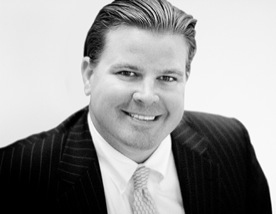 Gregory D. Smith, a member of the Family Law Service Group of Stites & Harbison PLLC, in Nashville, focuses his practice primarily on divorce, custody litigation, support disputes and neglect cases. He has helped clients find and recover children abducted by former spouses and obtained help for children with disabilities. 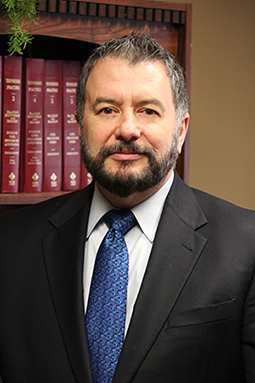 He has experience in international custody litigation in both state and federal courts. His appeals include a Tennessee Supreme Court case that set the standard for subject matter jurisdiction in child support cases. He has been listed in the Best Lawyers in America ® since 2008 in Family Law. He has been named to the “Best of the Bar” by the Nashville Business Journal and has chaired the Juvenile Court Committee and the Circuit and Chancery Court Committee of the Nashville Bar Association. He served on the board of directors of the Nashville Bar Association from 2002-04. 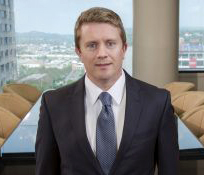 Scott A. Womack is a partner with Lattimore Black Morgan & Cain’s litigation, valuation, mergers and acquisitions division in Nashville. 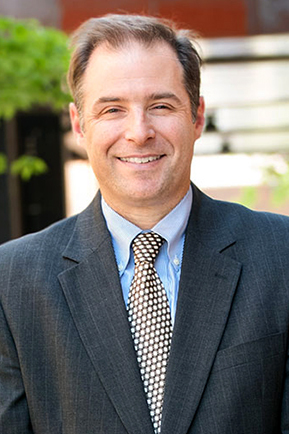 He concentrates his practice in family law litigation and valuation matters involving a variety of industries. Mr. Womack assists estate planning attorneys in federal and state valuation matters, family law attorneys in divorce matters (including business valuation, forensic accounting, division of marital estate, etc. ), and small business owners involving the potential sale of their businesses. He is an accredited senior appraiser with the American Society of Appraisers (ASA) and a master analyst in financial forensics with the National Association of Certified Valuators and Analysts (MAFF). Mr. Womack earned his Bachelor of Business Administration with a concentration in finance from Baylor University. 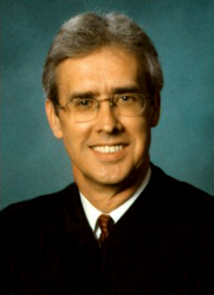 Judge Thomas S. Wright has served the Third Judicial District – which consists of Greene, Hamblen, Hancock, and Hawkins counties – as a circuit court judge since his election in 2006. Prior to his election as circuit judge, he served as the general sessions and juvenile judge for Greene County, having been elected to that position in 1998. 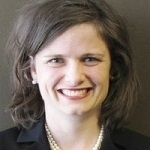 Amy Amundsen is a partner in the Memphis law firm of Rice, Amundsen & Caperton PLLC. Ms. Amundsen is a Fellow of the International Academy of Matrimonial Attorneys (2010 to present) and a Fellow of the American Academy of Matrimonial Attorneys (2008 to present). 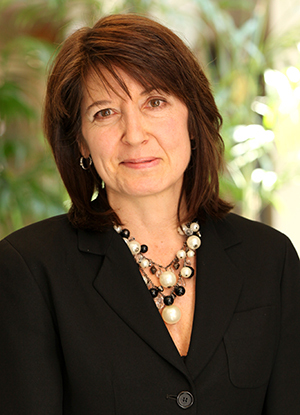 She has been recognized as a Family Law Specialist by the National Board of Trial Advocacy since 2001. She has been a Rule 31 Listed Family Mediator since 2001, and she was trained in Collaborative Law by the American Academy of Matrimonial Law. She has been chair of the Tennessee Bar Association’s Alimony Bench Book Committee since 2000. She was president of the Leo Bearman, Sr. American Inn of Court from 2010 to 2011. She is a past president of the Memphis Bar Association (2007-2008). Judge Mike Binkley has served as a Tennessee Circuit Court Judge in the 21st Judicial District – which consists of Hickman, Lewis, Perry, and Williamson counties – since 2012. His current term expired in 2022. Prior to becoming a judge, he practiced law in Franklin. Judge Binkley is a graduate of Birmingham Southern College earning a degree in history. Judge Binkley earned his J.D. at Vanderbilt University School of Law. Chancellor Jerri S. Bryant has served as chancellor of the 10th Judicial District, which includes Bradley, McMinn, Monroe, and Polk counties, since 1998. 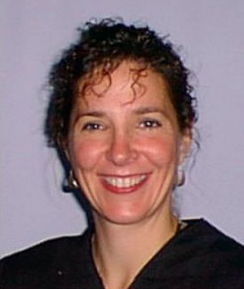 She was re-elected to the bench in 2006 and 2014. Her current eight-year term expires in 2022. Chancellor Bryant began her career in 1987 as an attorney in private practice with the law firm of Claiborne, Davis, Buck & Hurley. In 1991, she became a partner at the law firm of Carter, Harrod & Cunningham, where she worked until her election to the bench in 1998. She received her undergraduate degree from Tennessee Wesleyan College in 1984 and her J.D. from the University of Tennessee at Knoxville in 1987. Judge Robert L. Childers was the presiding judge of Division 9 of the Circuit Court in Memphis from 1984 until his retirement from the bench on June 30, 2017. 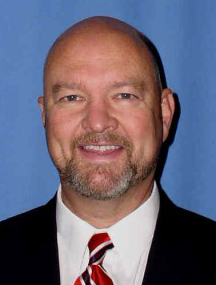 He has been chair of the Civil Pattern Jury Instruction Committee for the Tennessee Judicial Conference since 1991. Judge Childers serves on the American Bar Association’s advisory commission created to assist lawyers and other legal professionals with addiction and other personal problems. He is a past president of the Tennessee Judicial Conference and has served as a Special Judge of the Tennessee Supreme Court Workers’ Compensation Appeals Panel. Eileen Burkhalter Smith is Disciplinary Counsel at the Tennessee Board of Professional Responsibility. She is responsible for investigating disciplinary complaints against attorneys practicing in Tennessee, including analysis of Tennessee Supreme Court disciplinary rules and procedures and application of the rules to varying situations. She is a regular presenter at Continuing Legal Education seminars about the disciplinary rules and procedures. She makes regular presentations to the Board of Professional Responsibility about applicable matters. She was previously with Waller Lansden Dortch & Davis, LLP (partner, 2009-11, and associate, 2001-08). She received her B.A. from the University of Notre Dame and her J.D. from the University of Tennessee College of Law. Ms. Moses will explore when it’s appropriate to seek modification of a permanent parenting plan and how to go about petitioning for any revisions. Learn from a trial judge what you need to know about the use of civil and criminal contempt in family law matters. 10:15 a.m. to 12:15 p.m.
Get up-to-date on the most recent decisions in the family law area from Tennessee’s appellate courts on child support, child custody, visitation, alimony, and more. As the speaker says, “Most of the important cases and all of the fun ones,” including every case in which the divorce lasted longer than the marriage. Ethical Concerns: Are You in Jeopardy? 1:15 p.m. to 2:45 p.m.
Join Sandy Garrett for a game of Jeopardy discussing current developments, including the latest on the use of social media, proposed rule changes, recent ethics opinions, Tennessee Supreme Court disciplinary cases, and fees and trust accounting issues. Mr. Hicks will review new laws from the 2017 legislative session and offer insight on what’s ahead in the General Assembly for 2018 and beyond. Learn from an experienced trial judge on the rules, strategies, and traps to avoid during both direct and cross-examination. He’ll offer tips on what to do when a witness is being evasive or defiant, translating expert testimony into plain English, handling objections to questions, and the effective use of evidence/documents during the examination of witnesses. 10:15 a.m. to 11:30 a.m.
Let Mr. Anthony and Mr. Newman walk you through some of the ethical challenges presented by social media in the practice of law today. They will also offer tips on the evidentiary role of technology in your day to day practice. Mr. Martin will discuss current developments in document management and retention, timekeeping, and billing capabilities, offer tips about server-based versus cloud-based networks, and explore the wireless and paperless law office. Join Eileen Burkhalter Smith for a game of Jeopardy discussing current developments, including the latest on the use of social media, proposed rule changes, recent ethics opinions, Tennessee Supreme Court disciplinary cases, and fees and trust accounting issues. Let Chancellor Bryant walk you through some of the most significant issues she sees when dealing with child custody issues and the division of marital assets. She will offer valuable tips (with sample forms) on handling these types of issues. 11:45 a.m. to 12:15 p.m.
1:15 p.m. to 1:45 p.m.
Let Judge Binkley walk you through issues that arise when children are involved in a divorce case – weighing a child’s preference in determining parenting time, interviewing the child “in chambers,” ordering a psychological evaluation for either the child, the parents, or all parties, and taking precautions when a child has to testify in court. GUARANTEE: If you are not completely satisfied after attending a M. Lee Smith Publishers event, let us know, and we will refund 100% of your registration fee — no questions asked. PLEASE NOTE: CLE is not available for these Conference materials.